The pop superstar and coach on "The Voice" shared some news about her next project. Singer, songwriter, children's book author, "The Voice" coach and mom — Kelly Clarkson does it all. And soon she'll add to that list. Following weeks of buzz, the hit-maker has officially confirmed plans for a new talk show. The announcement came during a visit to "The Tonight Show" Tuesday, and Clarkson followed that up by sharing a few fun details on TODAY Wednesday. So, what should her faithful fans expect? The 36-year-old teased music, banter and charity, or as she summed it up on TODAY, "kind of a mixture of all the things I love." Carson Daly, who knows Clarkson well after working with her on her winning season of "The Voice," also expects comedy content. "You're so funny — like Amy Schumer funny," he told her. But Clarkson isn't sure she wants to set the comedy bar quite that high. "Now I feel pressure — laugh!" she shot back. There is one part of the new gig she might struggle with, though. Clarkson confessed to Fallon that while she's a natural when it comes to talking, listening isn't so easy. "It's hard for me to shut up," she said. "Like, you know, you have to listen to people that come on your show, and I just keep talking." She vowed to work on that, and added a promise that her daytime show would be "different from anything that's been on," and it will feature something for everyone. Well, almost everyone. "If you don't like music, you probably shouldn't watch it," Clarkson said, noting that singing will be a regular part of the show. 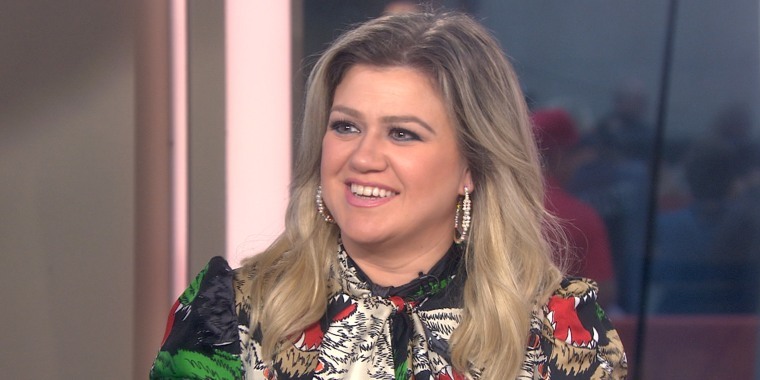 "The Kelly Clarkson Show" debuts in fall 2019 and will air before "The Ellen DeGeneres Show," according to a Wednesday press release from NBCUniversal.